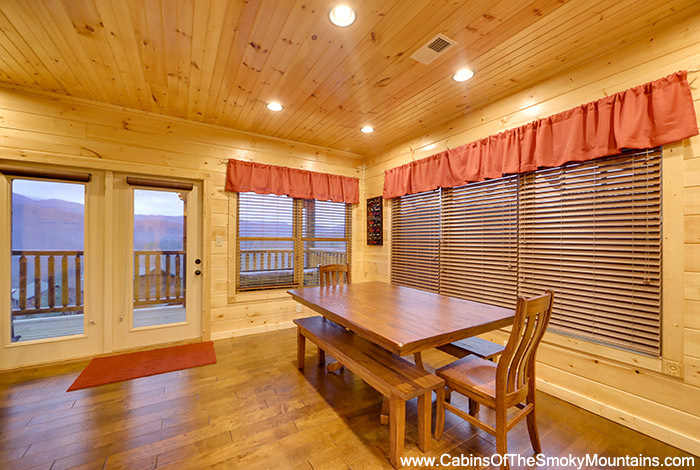 Pictures simply do not do justice to this cabin. 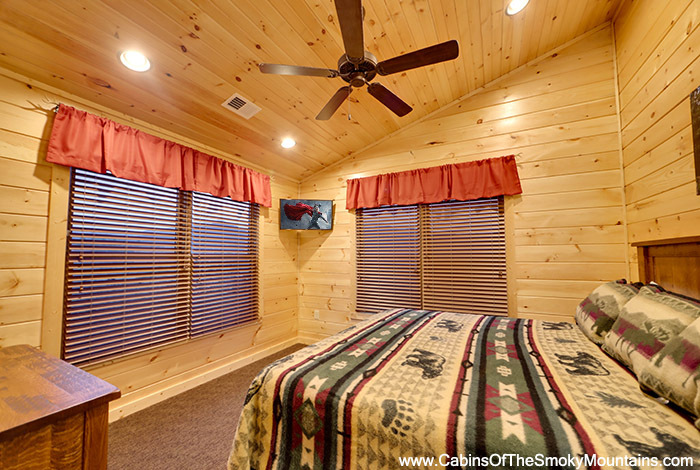 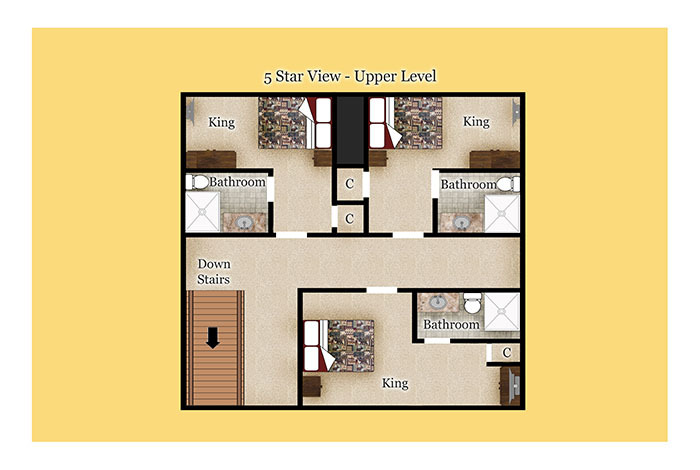 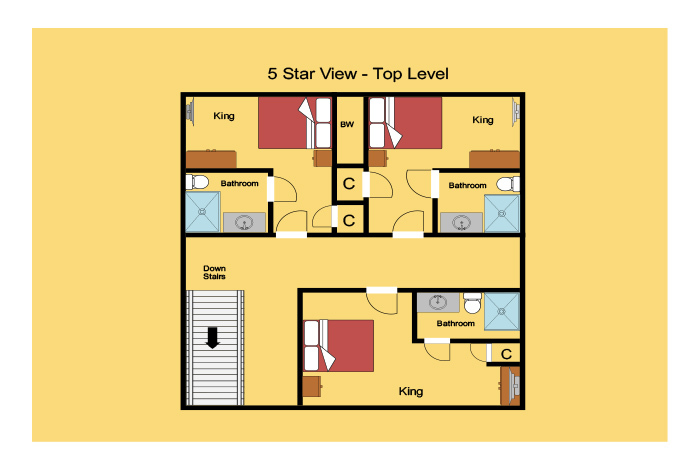 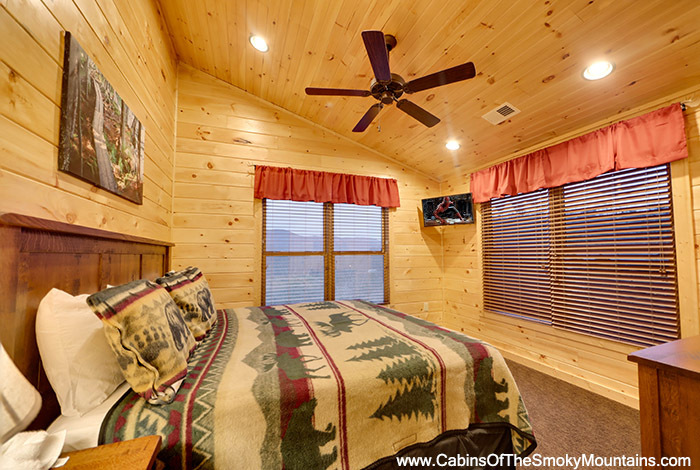 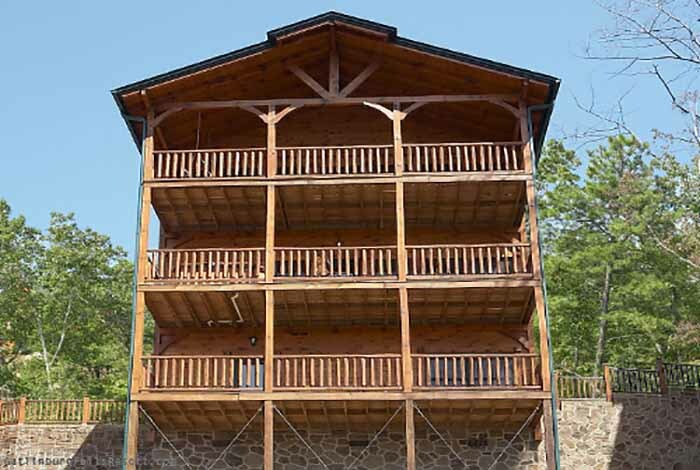 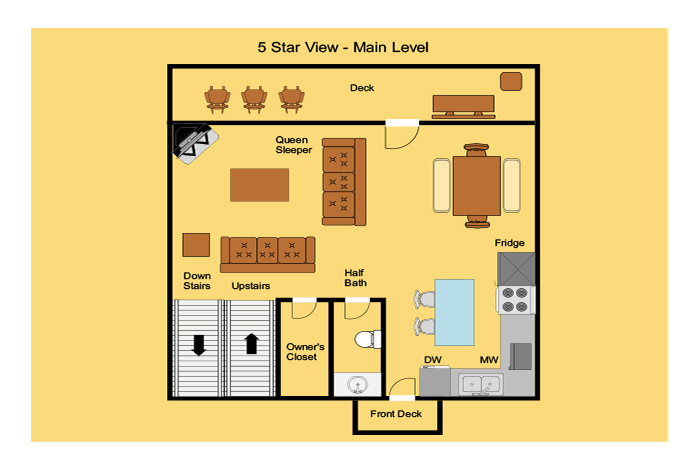 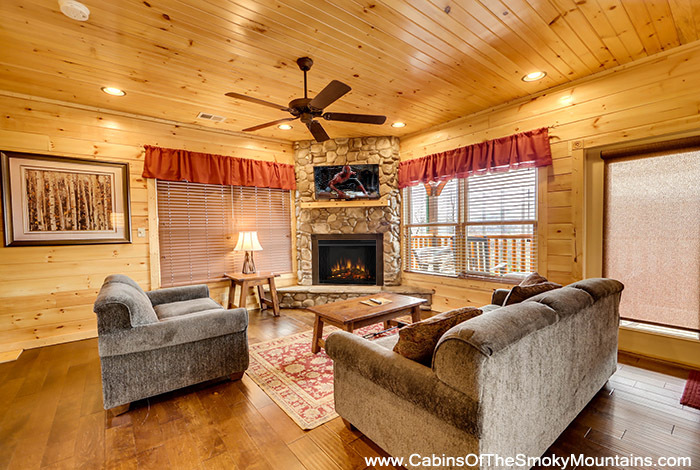 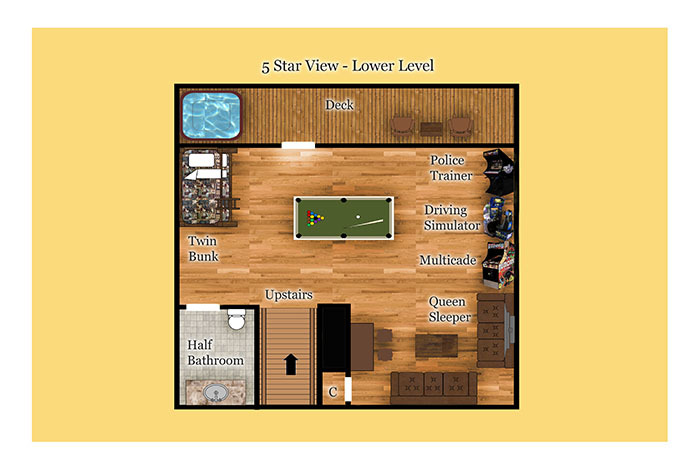 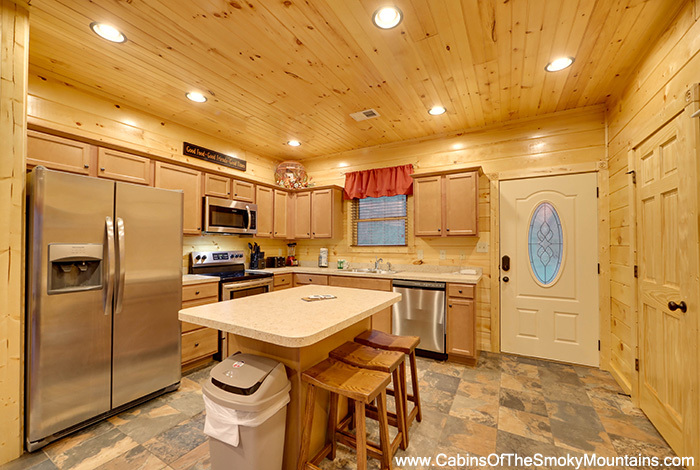 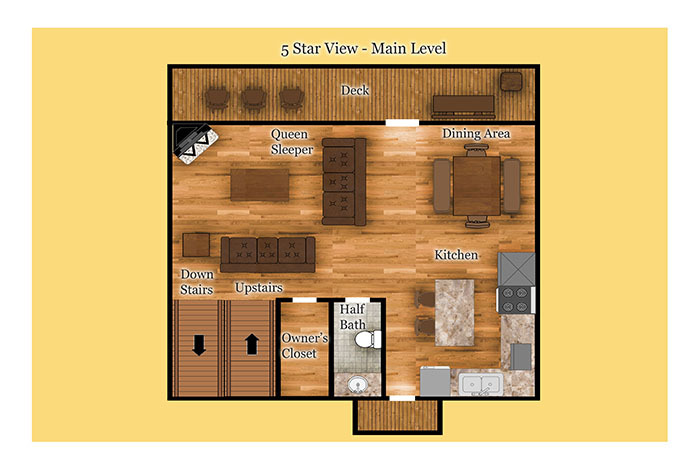 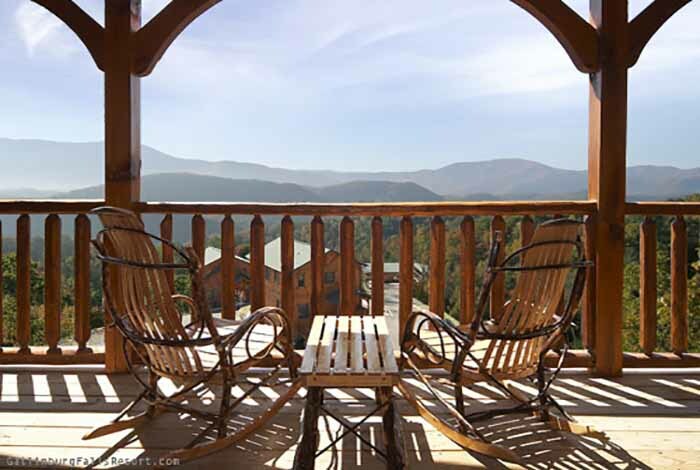 5 Star View is a 3 bedroom luxury Gatlinburg Cabin Rental which features unequaled views of Mt. 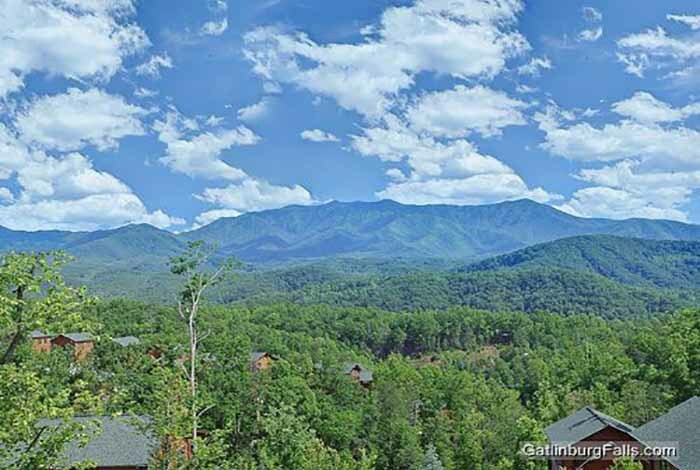 Leconte and the Great Smoky Mountains National Park, which will make it your perfect vacation destination for years to come. 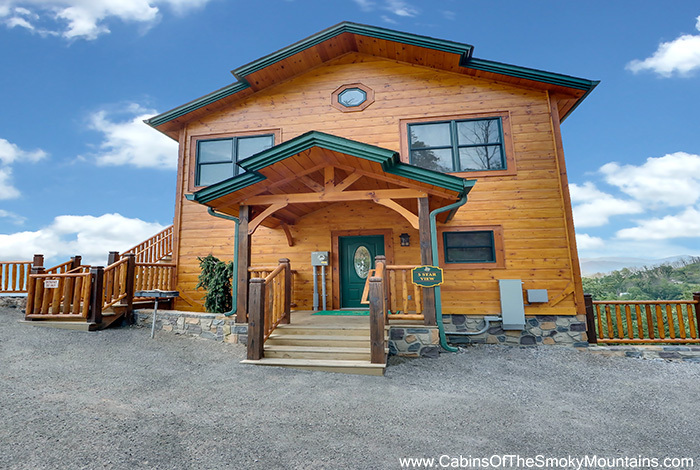 These breathtaking views can be enjoyed through many of the cabins windows as well as from the back deck while relaxing in the Porch Swing, Amish Rocking Chairs, or Hot Tub. 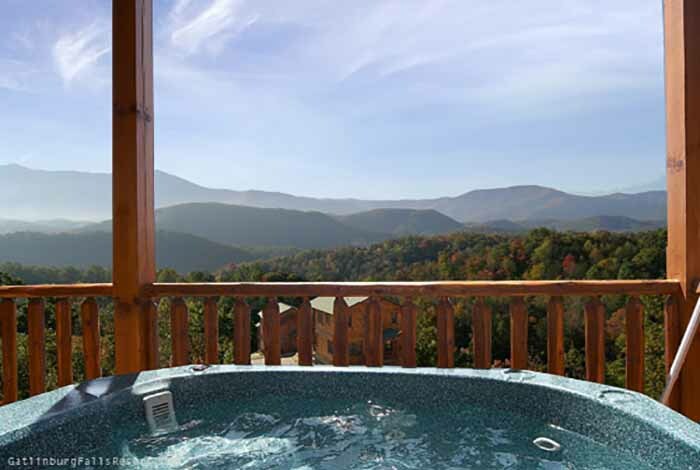 Because of its amazing location high atop the Gatlinburg Falls Hidden Valley Resort, 5 Star View can provide these spectacular views while being located just minutes from the action of downtown Gatlinburg and Pigeon Forge, which makes it easy to experience everything the Smokies have to offer. 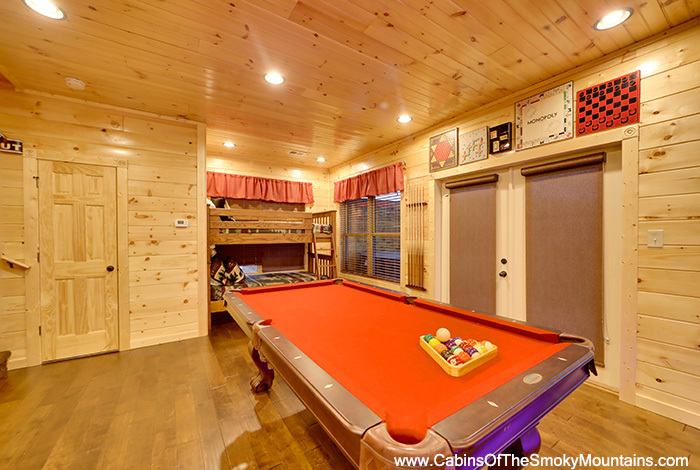 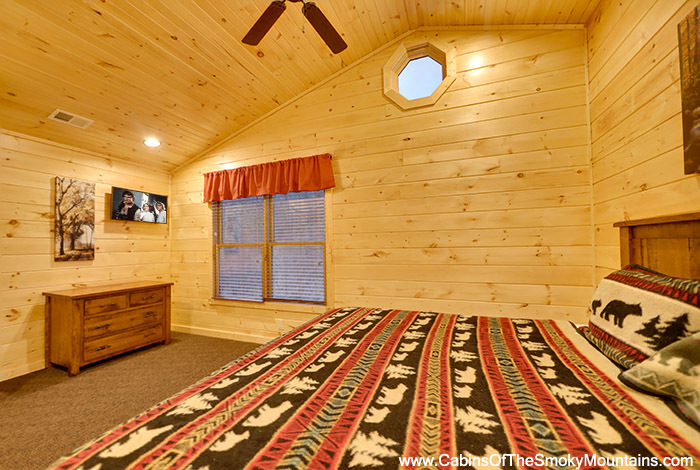 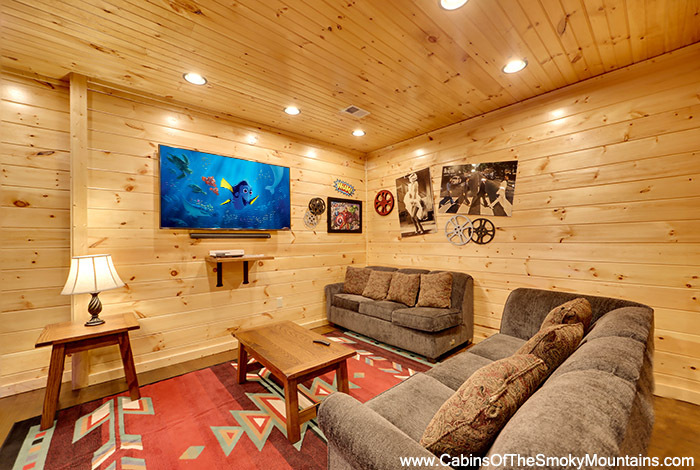 The amenities inside the cabin are equally impressive with its vertical jetted shower spa, Elvis Pinball machine, Air Hockey, Pool Table, Ms. Pac Man/Galaga arcade game, 6 Tv’s, and 1 Big Screen TV. 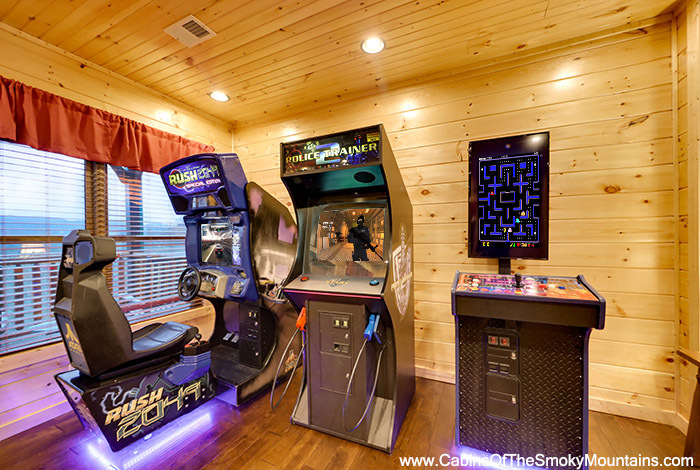 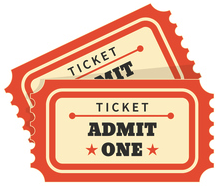 Everyone is sure to enjoy their stay whether it be while playing the arcade games or simply admiring the pristine mountain views from the deck.